'The Witcher Vol. 3: Curse of Crows' feels like a side quest, for better or worse – AiPT! Something strange in your Novigrad? Who you gonna call? The Witchers! 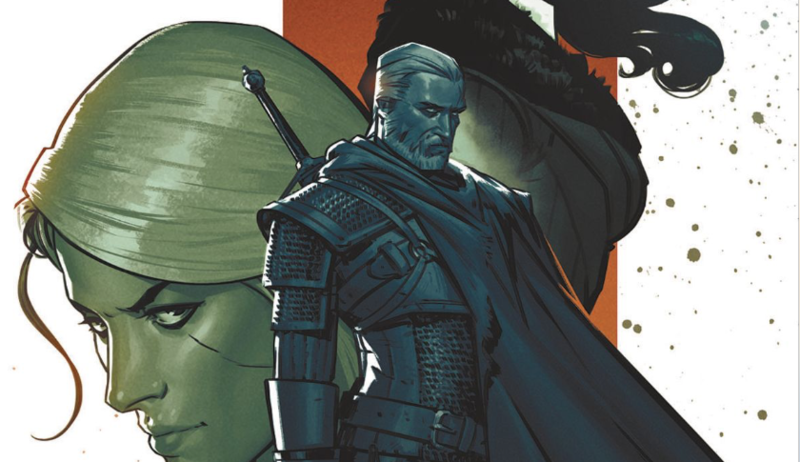 Geralt and Ciri embark on an “epic” side quest in this collection of books from Dark Horse. I’m a relative newcomer to the Witcher series of books/games (and forgettable polish TV series), having only played Wild Hunt. It’s a great game with a long, compelling campaign and an engrossing skill growth system that will keep you immersed in the story of Geralt of Rivia for hours and hours. While the campaign is nonlinear and lengthy, what will really keep you most immersed in the game is the exorbitant amount of side quests and witcher jobs that you’ll find throughout the expansive world of Nilfgaard. Virtually every townsperson you speak to, every shop owner and message board, every NPC with a unique animation has a monster to be slain, or a treasure to be found or a bandit to be put down. These quests never really advanced the main narrative, but they did give players the chance to see a more complete and nuanced view of Geralt, and occasionally one of his partners. That’s effectively what The Witcher: Curse of Crows series reads like, a side quest. If you had to pick an overall arc of the book, it’s about our hero, Geralt (the eponymous witcher), and his adopted daughter, Ciri (another witcher), as they hunt a powerful monster called a “striga.” For fans of the series lore, the striga is an important part of series history, as it was the first monster in the original game and played a significant role in establishing our hero’s credibility as a monster hunter. Over the course of Curse of Crows, Geralt actually re-tells that story, typically at Ciri’s request. Indeed it seems like the younger witcher is looking to have her own striga story – meaning the mere mention of another such monster in the wild has her way too excited to confront the beast. This proves to be problematic when an early brush with a cursed (which is similar to, but not technically a striga) leaves the young woman injured and in need of help from both Geralt and his longtime lover Yennefer, a sorceress who also serves as Ciri’s adoptive mother. One thing you can say about the book is that it certainly captures the feel of the game. Much of the first chapter sees the witchers meandering through the woods doing odd jobs for random townspeople, saving women from rock trolls, chasing down contracts on changelings, etc. It’s actually something they revisit throughout the book, mostly in vignettes playing alongside the more droll portions of the overall story, but it’s really effective in maintaining that familiar tone from the games. The dialogue is also pretty true to form, as I can practically hear Doug Cockle’s raspy whisper as I read along. It all provides a welcome sense of nostalgia for fans of the series who, let’s be real, are likely the only ones reading this trade. Less endearing, unfortunately, is the artwork which is more than a little bland. There’s a real lack of detail in the faces and clothing of most characters, and there’s a similarly simplistic approach to the backgrounds and settings. It’s all fine, I guess, but it feels like artist Piotr Kowalski was either rushed or unmotivated to make much of this assignment. The monsters are also left a little wanting. It’s probably unfair to compare a 2D comic to the fully rendered and hyper-detailed graphics of a AAA video game, but look at the difference between the trolls you encounter in Wild Hunt vs. the one Geralt strikes up a conversation with in the first chapter. In the games, they have all sorts of textures and differing features, setting their relative humility and good nature in stark contrast to their hideous and frightening appearance. Here, they look kind of cute, and not just because of his jaunty top hat. The character designs of the humans are fairly consistent with that of the most recent game, though it is weird that they’ve changed Geralt’s underwear to be a thong when he wears boxers in the game, but given how much they show of Ciri, it may be a faux equality move? While my claim that this book feels like a side quest is intended as a compliment, there is a negative side to it: it just never feels consequential. This feels like a throwaway story where our principal cast never seems like they’re in any danger and it struggles to maintain the reader’s attention because of it. 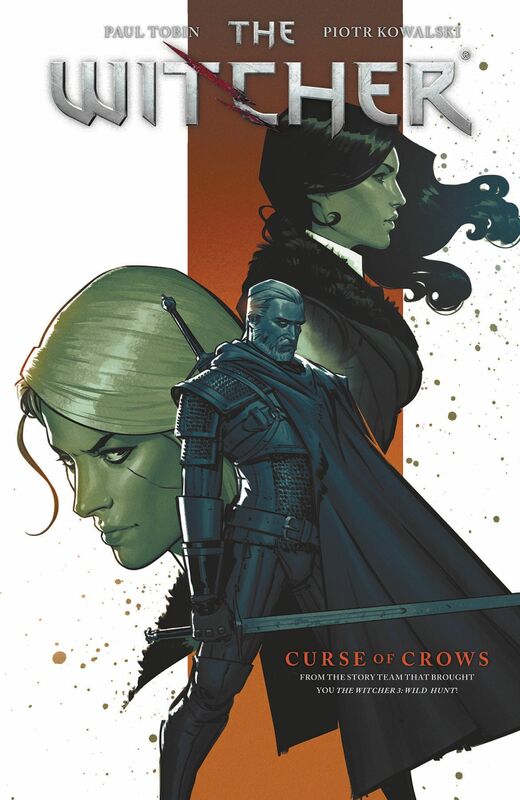 Sure, I wasn’t expecting Geralt of Rivia to meet his end in a comic for Dark Horse, but there are ways to write this so it doesn’t have to read like filler. Overall it’s a fine story, just not a great one. Fans of the Witcher series will likely enjoy it, others might find it a little dull. It’s an uneventful and unremarkable book, but it’s certainly not bad. It’s a fine story, just not a great one. Fans of the Witcher series will likely enjoy it, others might find it a little dull. Unimpressive artwork and an underwhelming story make for a forgettable read.